For the Sicilians is a muntagna, for others is one of the most famous volcanoes still active in the world. We are talking of Etna, that with its 3300 meters is the biggest volcano in Italy and one of the symbols of Sicily. 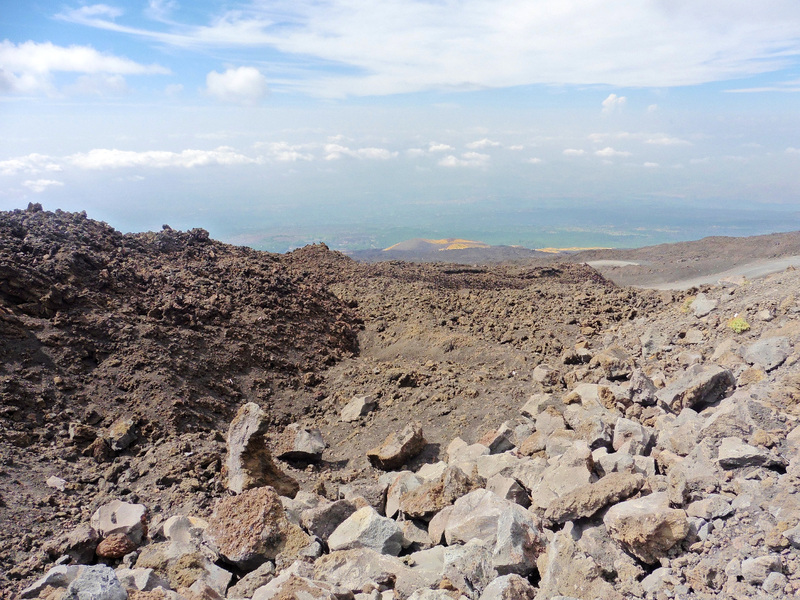 Etna annually attracts thousands of tourists in the summer months but also in winter, when it becomes a ski destination. 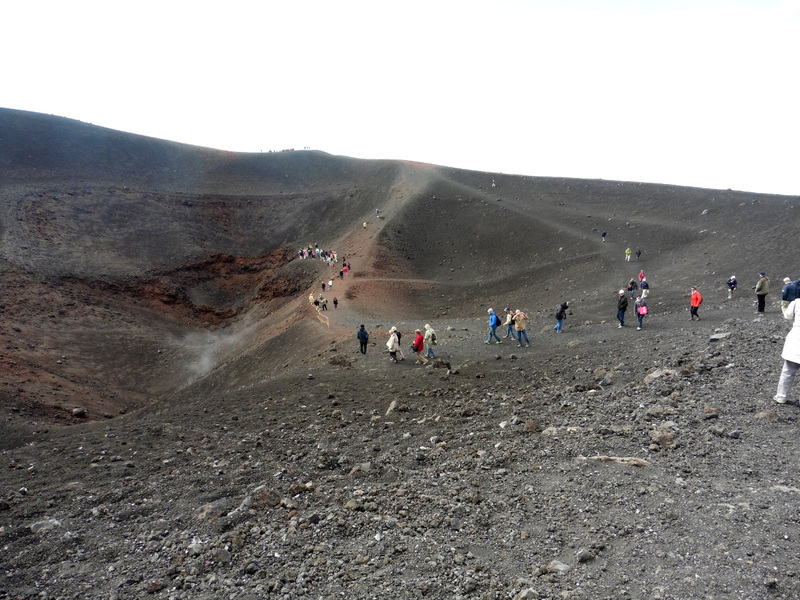 To get to the top of the volcano and see its many craters you can go on foot, at least 4 hours walk starting from the Giovanni Sapienza refuge, or take the chairlift and then a four-wheel-drive turned into tourist bus. The walk is advisable for experienced hikers because of the altitude, the strong temperature from the starting point to the top, but mainly because of the lack of repaired places and rest areas along the way. The desolate landscape is reminiscent of the moon: soils are blacks, for the lava origin, and without vegetation. Reach the top of the volcano through the chairlift has a fairly high cost (60 euro per person), but includes also the passage on the four-wheel bus and the guided tour. The landscape that you can see when you arrive is unique: the black earth on which you walk was punctuated with huge holes from which smoke appears. 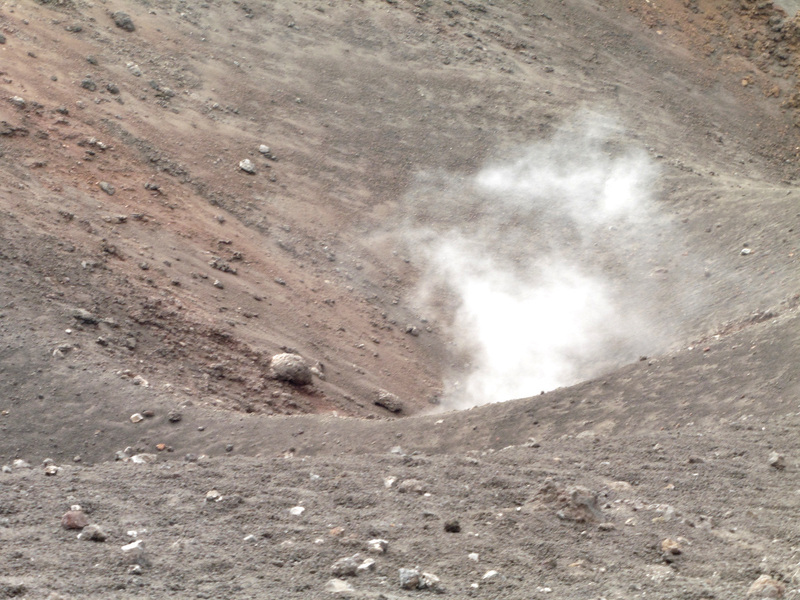 They are the famous craters of the volcano. Also, you can see the falls of rocks by the unusual colors yellow and red. Are rocks containing large amounts of sulfur and cobalt and are generated by the activities of volcanic craters. The wind is often very strong and cold, even in summer. 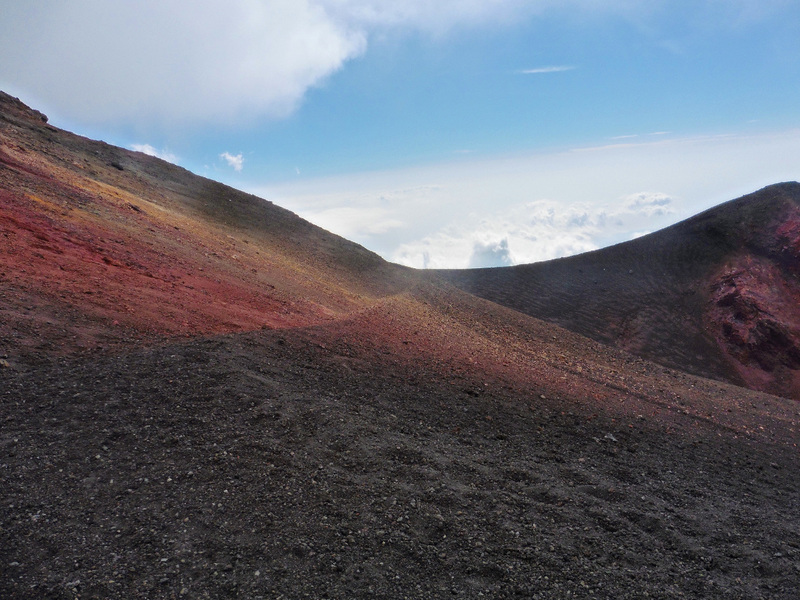 The landscape is always changing and each year could be different, because of the volcanic activity and lava flows that change the topography of the area. 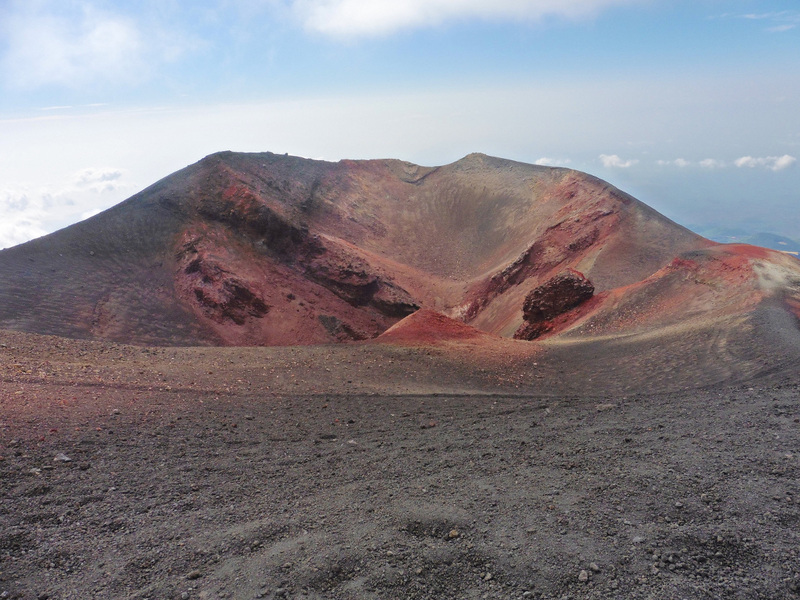 Even the man has often altered the territory: some refuges located downstream of the craters were often threatened by lava, and technicians have had to intervene to divert the flow of lava and protect buildings. 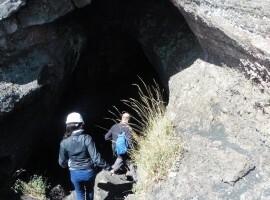 You can also visit beautiful caves origined by volcano, located near Etna. Our tour made stops at the Tre Livelli Cave (or Three Bat Cave), a volcanic cave, well preserved, located few kilometers from the Sapienza refuge. This cave, much less touristy, is little known but very charming. 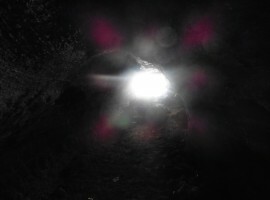 Equipped with helmet and lamp, and accompanied by a qualified guide, you can forward the cave and explore its depths. 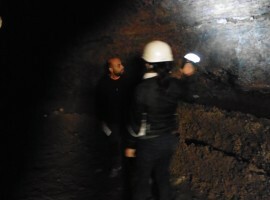 It’s located at an altitude of 1630 meters, in Casa del Vescovo locality, and it’s the deepest cave in Etna mountain. 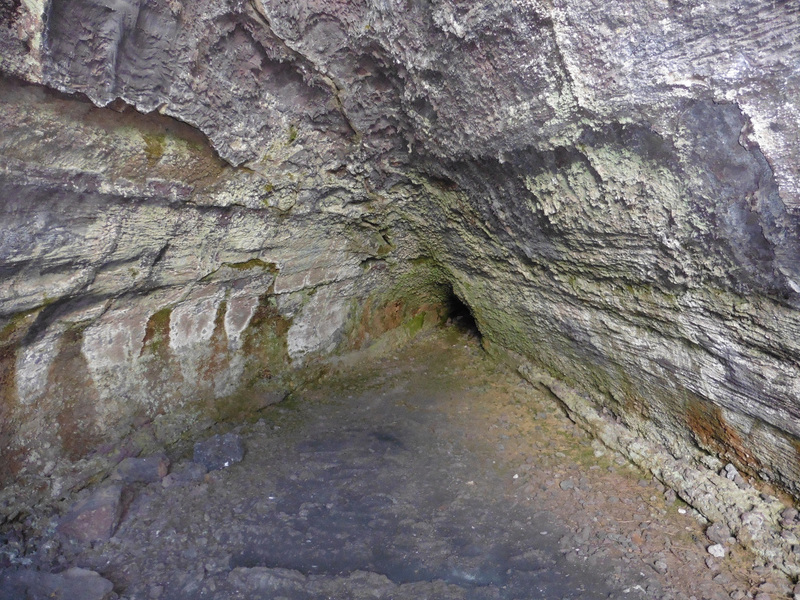 The cavity, produced by lava of 1792-1793, was discovered by chance in 1964 during construction work on the road connecting the town Zafferana and the Sapienza refuge. The name comes from the fact that the cave consists of three overlapping galleries. Our excursion was organized by the Natural and Cultural association Excursionsinsicily (www.excursionsinsicily.com). The cost of the visit depends on the activity you choose; our guide has showed great passion, availability and competence. This entry was posted in journeys and tagged ecofriendly itineraries, ecotourism, ecotourism tours, Etna, Natural Park, Sicily, volcano, walking. Bookmark the permalink.